With four days left before the universe they are trapped in dies, things have never looked darker for The Green Lantern Corps. Now, as their scattered numbers fly through space seeking to join the rest of their lost brethren, one group will tunnel into the sentient city world of Perduron. Their Objective? Track down and subdue the sinister Marinel, who has already caused the death of three Corps members. 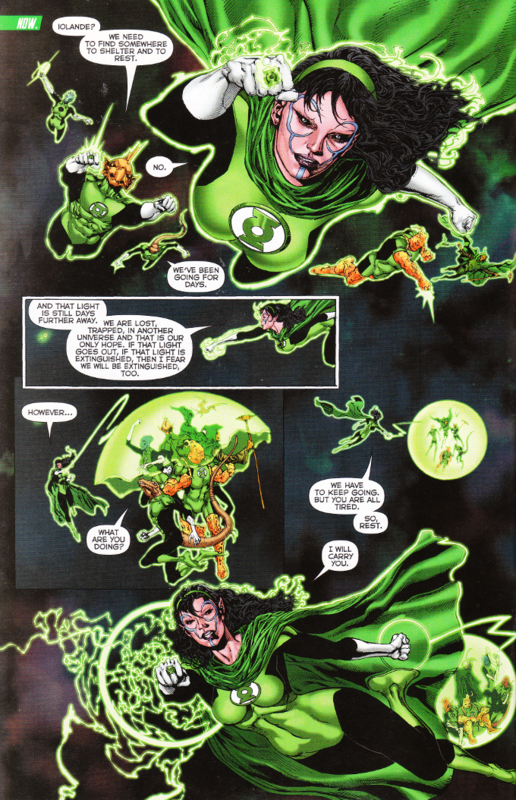 This mini-series is a wonderful bit of nostalgia for those of us who remember Ethan Van Sciver's previous work on Green Lantern. Whether it's drawing unusual aliens, depicting strange constructs or blocking an action sequence, Van Sciver still has it! And the colors of Jason Wright are applied with equal skill and care. Despite the large ensemble cast, Tom Taylor still takes care to give as many members of the Corps as possible little moments to shine - no pun intended. 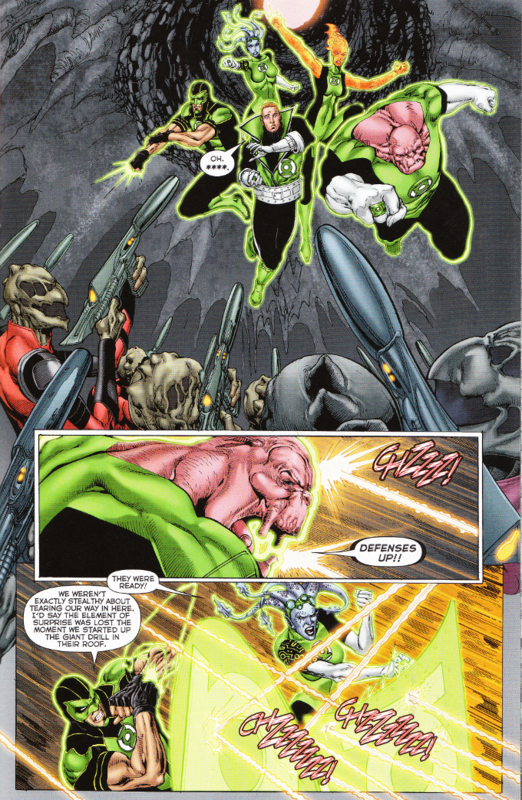 The focus here is on the conflict between Guy Gardner and Kilowog, with The Corps' drill sergeant and the resident hot-head arguing for most of the issue. Yet there are still quieter moments, like the introductory flashback where we see how one person's childhood lessons in the proper behavior of a noble influences them even now as a hero.